Performance alert: Otello contains live flame, e-smoking, strobe lights and atmospheric effects. Should you have questions or require more details, we invite you to contact our team at 416-363-8231 or 1-800-250-4653. Performance time is approximately two hours and 40 minutes, including one intermission. ACTS I & II: 65 minutes / Intermission 25 minutes / ACT III & IV: 70 minutes. Download the 2019 Spring House Program. Otello, a former slave, is now captain of the Venetian fleet and the new governor of Cyprus. His ensign, Iago, enflamed with secret jealousy, connives to destroy Otello by turning him against his trusted friends and his beloved wife. Otello’s suspicions regarding his wife’s fidelity steer him out of control. In a final, desperate act he strangles her and–upon learning of her innocence–kills himself. A storm rages. The Moor Otello, governor of Cyprus and a general in the Venetian army, arrives safely in port having defeated the Turks at sea. Iago reveals to Roderigo that he hates Otello. Otello appointed Cassio as his lieutenant over Iago. Roderigo is secretly in love with Desdemona, Otello’s young wife. Iago vows to turn Otello against Cassio and promises Desdemona to Roderigo. Iago encourages Cassio to drink in public. When former governor of Cyprus, Montano, arrives, a sword fight ensues and a drunken Cassio wounds Montano. Otello enters and demotes Cassio. At Iago’s suggestion, Cassio asks Desdemona to plead his case for reinstatement. Iago makes casual remarks to Otello concerning Cassio’s and Desdemona’s fidelity and plants seeds of doubt in Otello’s mind. Desdemona asks her husband to forgive Cassio. She notices his sudden agitation and offers a handkerchief to wipe his brow, but he tosses it blindly to the ground. Iago retrieves the handkerchief with the intention of planting it in Cassio’s quarters. Iago tells Otello that he has seen a handkerchief belonging to Desdemona in Cassio’s hands. Iago joins Otello in swearing an oath to vengeance. Lodovico and dignitaries from Venice arrive in Cyprus to recall Otello and Desdemona to Venice and instate Cassio as the new governor. Otello publicly denounces Desdemona. As the dignitaries flee the scene, Iago gloats over Otello. Desdemona prepares for bed. Otello asks her if she has prayed that evening and again questions her fidelity. Unconvinced by her denials, he suffocates her. Emilia, Desdemona’s attendant and wife to Iago, discovers Desdemona’s body. She calls out for help and reveals to Otello the truth about the handkerchief and Iago’s plot. Otello stabs himself and dies, struggling to reach Desdemona for one final kiss. A scene from the English National Opera's Otello, 2014, photo by Alastair Muir. The Cypriots witness the arrival by sea of their new governor, Otello, in the midst of a huge storm. Otello and Desdemona reminisce on how they fell in love and reaffirm passionately their love for each other. Still anxiously awaiting Otello, Desdemona sings a heartfelt prayer. Tamara Wilson, a “veritable force of nature” (Chicago Tribune), rehearses Desdemona's haunting "Ave Maria" from Verdi's Otello. There is a push to change things by diversifying the stage but there won’t truly be systemic change until the back office looks more representative of the communities that house these organizations. 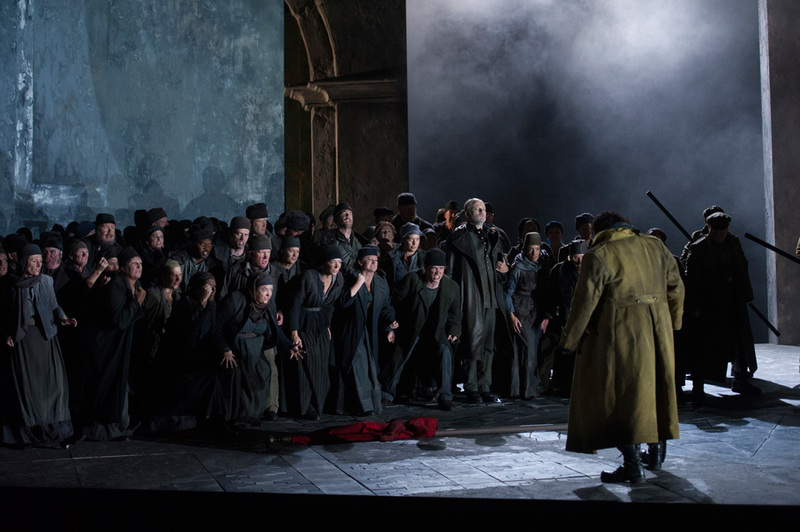 In our new multi-part series, COC Music Director Johannes Debus takes on Verdi’s dark, psychologically complex thriller Otello. Before you experience Verdi's Otello live, check out this primer for everything you need to know about the composer's penultimate opera. Critics and audiences who might’ve expected the composer to pick up exactly where he left off a decade and a half earlier were in for a strange surprise: Verdi’s opera forged a new musical language in response to Shakespeare’s psychologically complex, multi-layered text, bringing with it unique challenges for the singers tackling the piece. 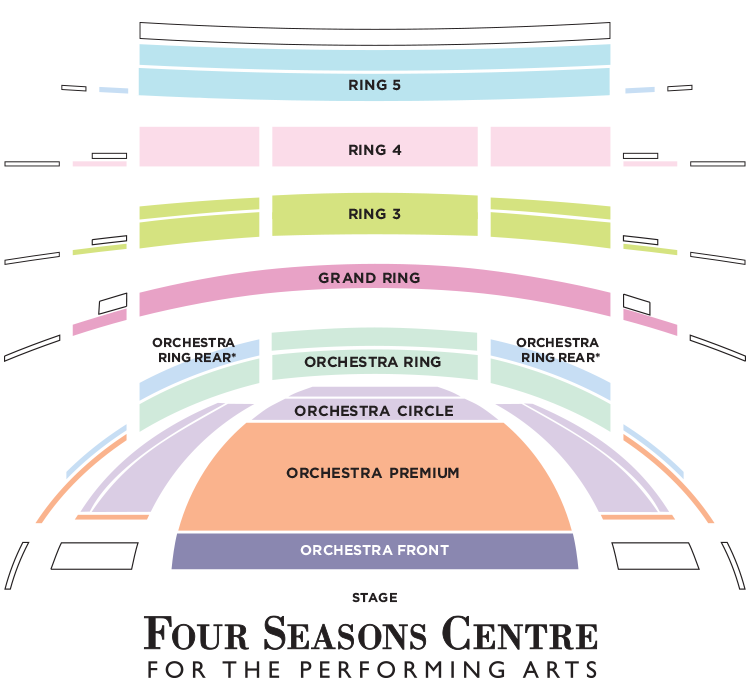 Warm up those vocal cords for the fourth annual opera sing-along! With the help of Price Family Chorus Master Sandra Horst, we’ll learn some of opera’s most loved choruses, including excerpts from Otello, and perform them together from start to finish. No musical experience necessary. In Otello, Verdi paints a searing portrayal of a faithful wife terrorized by her new husband’s irrational jealousy. Opera expert Wayne Gooding explores the theme of true love compromised by trickery and deception in an in-depth, audio-visual introduction to Verdi’s Otello. You might already know the Shakespeare play. Now learn how it gets the full opera treatment in Verdi’s Otello. Join musicologist Matthew Timmermans as he guides you through the musical score. No music-reading experience necessary. This event is a partnership between the Stratford Festival and the Canadian Opera Company. Explore the story of Othello as it is understood through Shakespeare’s Othello and Verdi’s opera Otello. How do soliloquies and arias compare as expressive forms? What unique qualities of theatre and opera lend themselves to these grand narratives? Banner photo features Dave Samuels (Security Supervisor) and Alfred Caron (Director, Four Seasons Centre for the Performing Arts), by Gaetz Photography.